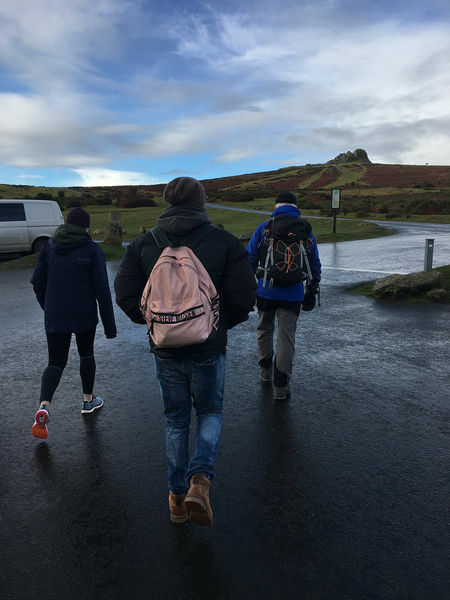 At the beginning of the spring semester, 15 students in the Notre Dame London Law Program traveled south for the weekend, swapping the bright lights of London for the stark and beautiful landscapes of Dartmoor. 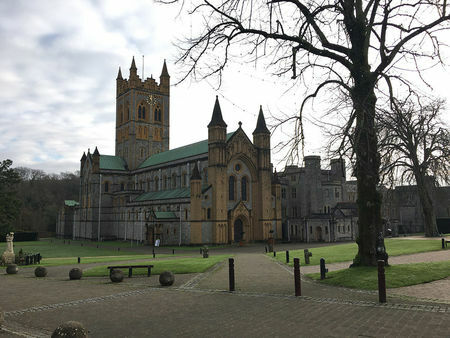 Staying at the Buckfast Abbey, a Benedictine monastery active since 1018, students took part in activities which took them off the beaten track, both literally and figuratively. At twenty-five past five, a bell rings out across Buckfast monastery. It’s a signal for the monks to rise from their beds and gather in the Abbey Church for the first prayer of the day. Two hours later, first light is beginning to break as the monks leave the Abbey for breakfast. At the same time, Notre Dame Law students begin to stir and prepare themselves for the day ahead. Although they have a later start than the monks, it is still earlier than a typical Saturday morning for most of the students. After a quick breakfast, they make their way to the coach, braced against the brisk winter morning. They are on their way to Dartmoor to start a full day of orienteering in one of the wildest expanses of the British countryside. Split into two teams, the students are armed with only a compass and a map and sent off to find 10 flags hidden across the moors. They have two hours and ten minutes total. Each flag is worth ten points but they lose a point for every minute they are late to the finish line. The students are sure that the task is too easy, although the guide forewarns them that they need to think creatively during the hike, and that speed may not be everything. 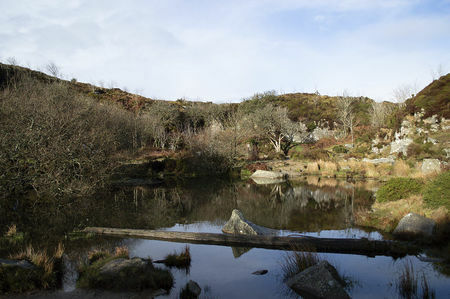 The mist begins to clear within the first half hour, slowly revealing the spectacular landscapes of Dartmoor. The sun exposes the intense green hills, which hide crystal clear brooks and streams. The students make a fast start, stopping only to take pictures with the friendly wild ponies that inhabit the moors. Things get more difficult as they continue and they lose their way a few times, eventually managing to navigate themselves back on track. The true challenge comes at flag number seven, when the students realize they only have 30 minutes to finish the course. Instead of choosing to forgo the final flags and head to the finish line, they forge on to reach the last three flags. It’s an ominous sign when the heavens open at flag number eight. A few minutes later, the students are already behind time, and seem to have navigated into a marsh land, where each footstep sinks deeper in the bog. By the time they near the finish line, 30 minutes late and soaked to the knees in mud, it’s clear they went wrong somewhere. They’re quickly consoled by the sight of the other team behind them, looking even more muddy and bedraggled! The task was designed to make the students think outside of the box. Instead of completing the course, they could have headed to the finish line at flag seven and won with a wide margin. The other clue was the boggy nature of the terrain, signaling that it would be long and arduous to cross. Although both teams took the longer route, this allowed them more time to get to know each other, which was the real point of the exercise. Despite being over half an hour late, muddied and tired, the students were all in great spirits, having bonded the most noticeably when they were faced with the most challenging parts of the walk. Lateral thinking was key to this trip, and the evening before the hike the students gathered for a session with water specialist Peter von Lany, who explained the water politics surrounding a river running through a number of African nations. In a classroom attached to Buckfast Abbey itself, the students heard about the history of this river, treaties that have been made, a dam-building project that is being implemented today, and the tense politics about ownership of the water. Students were tasked with looking at the role of law in this situation, the legal implications of historical treaties, and the ways in which the law can be applied today to help the situation. They also consider legal representation for each country, and how they would use the law to ensure humanitarian needs as well as fiscal rights were achieved. This sort of activity is in line with Notre Dame Law School’s desire to educate “a different kind of lawyer," and the aim of the session is to get students thinking about the role they may play later in life as a lawyer who is committed to social change and making a difference in the world. The problems surrounding the river have not yet been resolved, and von Lany, who is not a lawyer himself, was genuinely curious to hear the students’ ideas on how the law can play a part in creating a solution for all concerned. This level of interaction with a professional gave students a taste of how a legal mind can have an impact on global issues. By the time the students are returning to Buckfast Abbey from their hike, the monks are taking part in prayerful reading, called 'Lectico Devina.' A solitary pursuit, each monk quietly and carefully reads a spiritual book, occasionally stopping or returning to a particular passage that has drawn his interest. He ruminates on the text, drawing out a sense of meaning. It is appropriate then, that the students return to their rooms and ruminate on the time they have spent challenging their minds and bodies throughout the weekend. The backdrop to the weekend is the magnificent Buckfast Abbey, famous for creating the synonymous tonic wine. 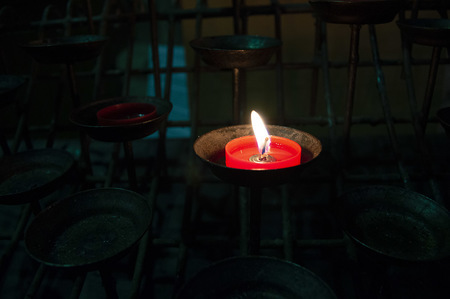 Throughout the weekend, students are invited to observe some of the activities taking place, such as night time compline, where the monks sing psalms, hymns, and canticles by heart at the high altar, the only illuminated part of the Church. They are invited to attend mass on Sunday morning, where the resonance of the organs and bells is almost overwhelming in comparison to the usual quiet and tranquility of the Abbey. Notre Dame is dedicated to the education of its students, to enabling conversations about faith, and to engendering a spirit of fraternity. 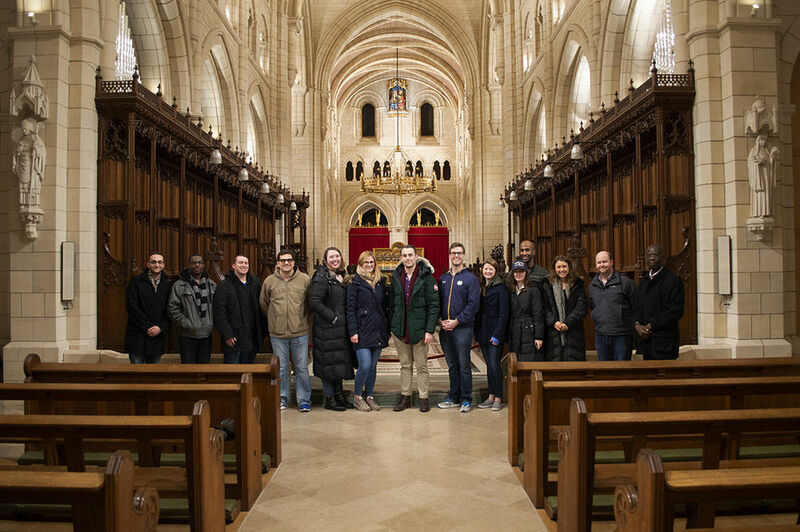 In bringing together these students, the trip to Buckfast Abbey was an intersection between spirituality, community, and scholarship. I have never been to Europe before and it was my first time studying abroad. I knew that there was going to be a lot of new experiences, but I wished that more of my friends from Notre Dame’s South Bend campus would experience this new adventure with me. I only knew a couple of people that were coming to London for the semester and was not sure whether I would make friends during this experience, but the trip to Buckfast proved me wrong. I really enjoyed getting to know my law school peers in a social setting — people who I would not normally encounter, I was able to break bread and experience new sights with them. The trip to Buckfast really opened my eyes to how great the Notre Dame community is! I can honestly say that the Buckfast trip helped me to build friendships while I have been in London and I am really thankful for the experience. My favorite part of the trip was the hike and seeing the English countryside from a great vantage point. Luckily for me, we had some people in my group that were more experienced with orienteering and it made the hike go more smoothly. Overall, I think the Buckfast trip was spectacular and seeing the cathedral and abbey was magnificent. It was a good start to my London experience and I would encourage all London students to take advantage of similar opportunities offered by the University! Originally published by Joanna Byrne at london.nd.edu on February 21, 2019.